Jimmy Cliff’s comeback album Rebirth was one of 2012’s most pleasant surprises – at age 65, Cliff’s voice is still in fine form and he’s writing quality songs to boot. 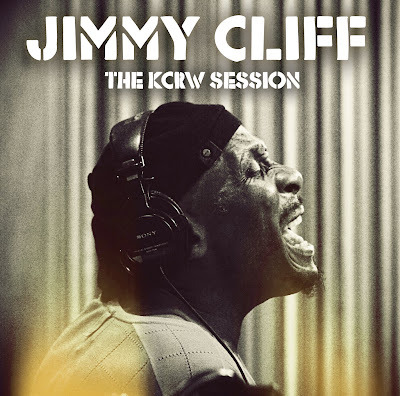 This short album is a follow-up to Rebirth, a live session from KCRW’s "Morning Becomes Eclectic" program with Cliff’s voice and guitar accompanied by Ben Peeler (The Mavericks, The Wallflowers) on guitar and lap steel. Three of the highlights here are songs from Rebirth: track 3 was that album’s piece de resistance, 2 is the legendary Clash song that references Cliff’s character in The Harder They Come, and I actually like the version of 6 better here than on the original album. Cliff’s back catalog is also well represented: 1 is a Cliff B-side that Bruce Springsteen made famous (it’s a staple of the E Street Band’s live shows), and 8 is Johnny Nash’s mega-hit that announced Cliff’s previous comeback, way back in 1993. Long may you run, Jimmy.